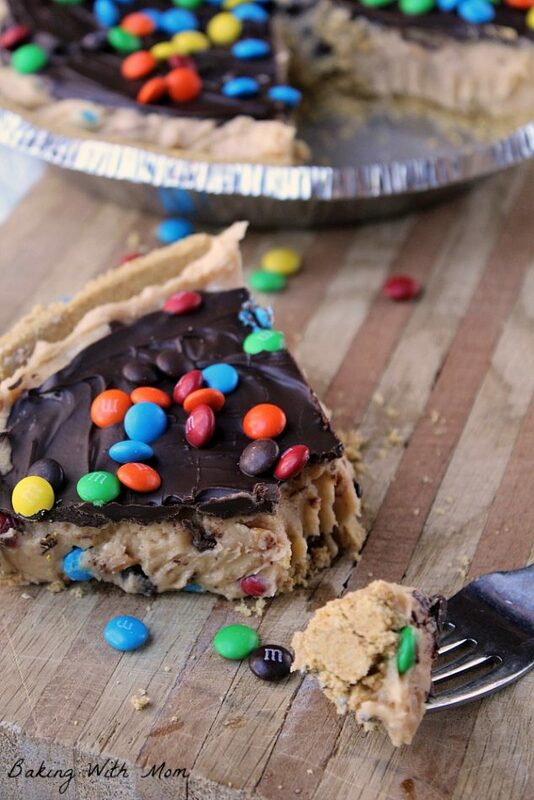 This No Bake Peanut Butter Chocolate Pie has M&M’s sprinkled throughout. This dessert recipe is rich, delicious and best of all, EASY! 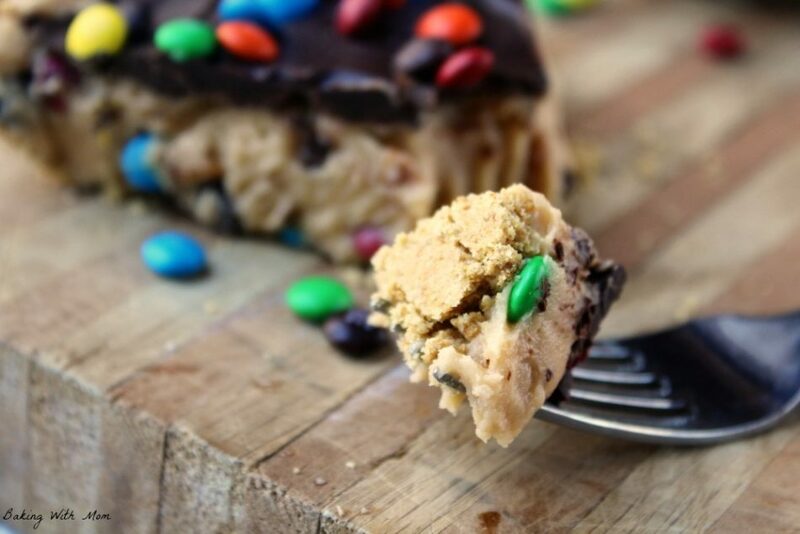 Peanut butter and chocolate together is a match made in most kitchens. 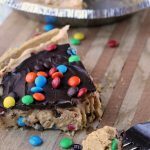 Ooey and gooey, rich and creamy, my mouth is watering just thinking about this smooth No Bake Peanut Butter Chocolate Pie. I didn’t make this pie for potlucks or guests, I made it for my family right before our family vacation. It was appreciated, but we did feel like we needed to eat it up before we left. The peanut butter pie is rather rich and you don’t need to eat large slices. A little slice will do ya. 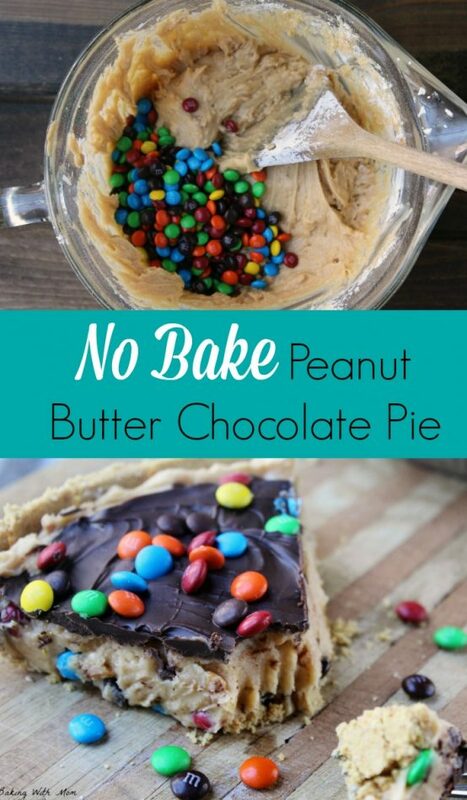 You only need a handful of ingredients for this dessert, such as powdered sugar, peanut butter and chocolate chips. I personally use the crunchy peanut butter. Certainly isn’t necessary, but that is the kind we eat and it works. It also adds a little bit of crunch in your pie. 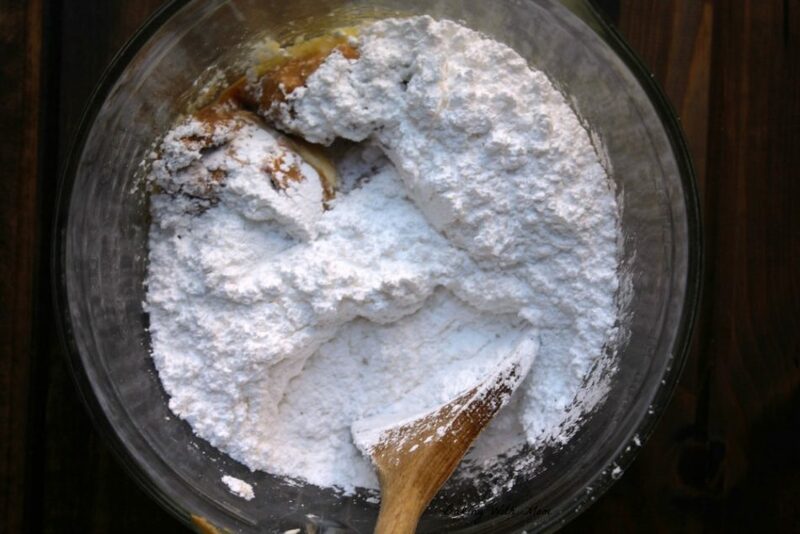 Mix powdered sugar, peanut butter and melted butter together. 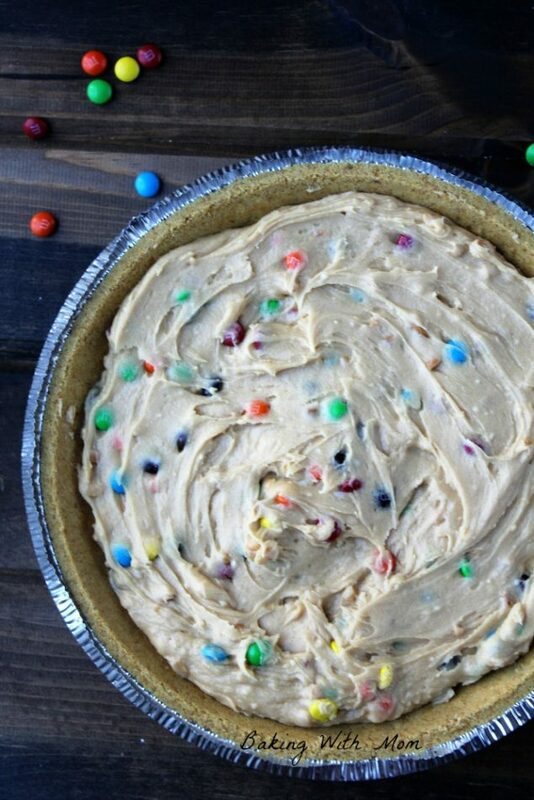 Mix in the M&M’s and place in graham cracker pie crust. Melt chocolate chips in bowl and spread on top of pie. 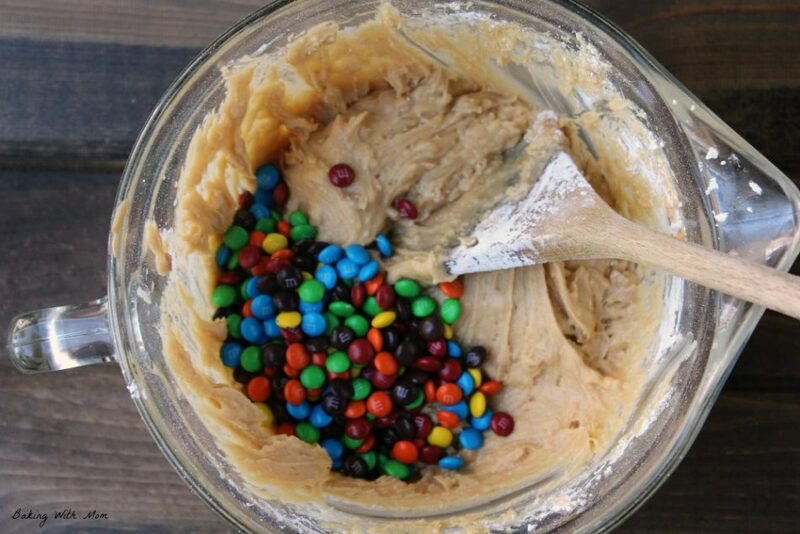 Sprinkle remaining M&M’s on top. Refrigerate and serve. What you have is a delicious pie that only takes minutes to make. Enjoy with a glass of almond milk, regular milk or tall glass of water. So much yum! 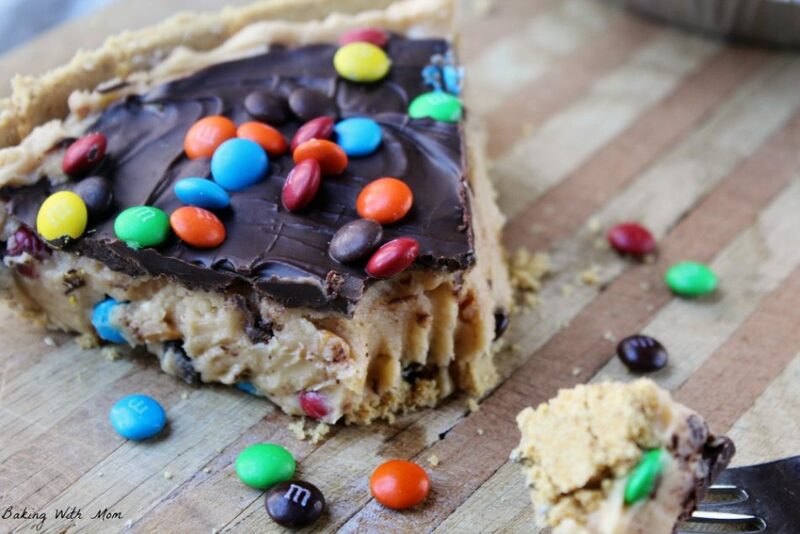 No Bake Peanut Butter Chocolate Pie with a rich filling, topped with M&M's. 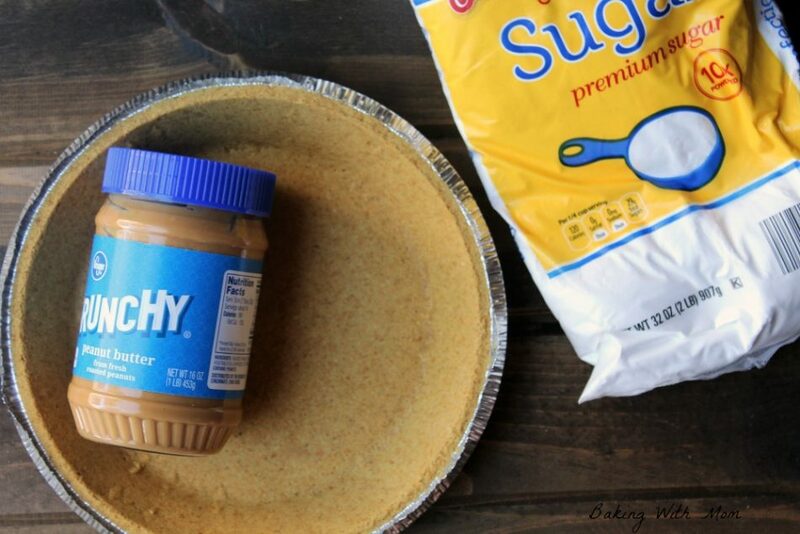 Creamy or chunky peanut butter on a graham cracker crust.